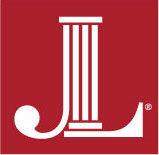 This page contains the information you will need for your agency to submit a proposal for consideration as a 2019-2020 Junior League of Birmingham (JLB) community project. All JLB projects must comply with the enclosed criteria. Therefore, applications must meet the project criteria and Impact Areas in order to be considered. The JLB will select projects that fall under our designated impact areas: Education, Health, Financial Stability and Safety & Crisis Intervention. Projects will also need to address one or more of the critical issues identified within each of these impact areas. We believe that through issue-based voluntarism, we can build better partnerships between the agencies we serve, better train our members to become experts on the critical issues and provide more meaningful experiences for our volunteers. Our goal is to eradicate pressing issues within our community, create advocates and community trustees (trained JLB members) who are passionate about an issue, and make a positive impact on our community through systemic change. Community Research seeks partnerships with agencies that offer placement opportunities that average at least 35-40 hours per volunteer for a minimum of 4-6 volunteers. In addition, we look for opportunities that provide our members with flexibility (e.g., weekdays, evenings, weekends). Active members are given the opportunity to select the placement of their choice in April 2019. The Junior League of Birmingham believes that an integral part of building a partnership with an agency is promoting events throughout the community. We encourage the recognition of JLB volunteers and the acknowledgement of money contributed by the Junior League of Birmingham through the use of social media, agency publications, and the inclusion on agency websites. If you would like to discuss your project idea or if you question whether your proposal fits within our guidelines, please contact Meghan Coffman, Community Research Chair. In order for your project to be considered, you must submit your application and supporting files electronically. Your completed project proposal application with requested supplemental attachments must be submitted by Friday, October 19, 2018 at 4 p.m.
We have scheduled ONE opportunity for you to attend an informational session about the League and utilizing our volunteers. We strongly encourage you to attend this session: Wednesday, September 19 at 11 a.m.This informational session is designed to educate agencies about JLB and its volunteers. Agencies who have never applied, have applied but never partnered with JLB, or who have a new project idea are strongly encouraged to attend one of these sessions. The Informational Session is held in the JLB Auditorium. Please Note: If the agency is submitting more than one project proposal, please include the required attachments with each project application. REQUIRED ATTACHMENTS – APPLICATION AND REQUIRED ATTACHMENTS CAN BE UPLOADED HERE. *The application is a fillable PDF. Please download the PDF, complete the form, then save it to your computer. You may then upload the saved, completed file. You may need to download a free PDF reader to complete the form. If an agency’s proposal does not meet the project guidelines, the proposal will NOT be considered during the committee’s final meeting. You will receive an email confirming the electronic submission of your proposal. Once the application has been reviewed and IF your agency is contacted in February 2019 with a grant award, the final decision will be made in April 2019 when our membership votes on final projects by their sign-up for the Placement. If a Placement can not be filled with a minimum of the volunteers requested, the placement may be declined. For this reason, we encourage agencies to remain mindful of volunteer opportunities that appeal to our membership. The League does not discriminate on the basis of race, creed, religion, or national origin, and reaches out to women of all races, religions, and national origins who demonstrate an interest in and a commitment to voluntarism. Furthermore, all meetings and functions of the League shall be held at facilities that do not discriminate against women or on the basis of race, creed, religion, or national origin.